Sharing my beautiful friend Emma Miceli‘s story and fundraising campaign to help her get an assistance dog! Emma has severe autism and an intellectual disability. An assistance dog could change her life and support her everyday. On the Disabled Wintersport Australia Women’s week camp, I was snow boarding with and guiding the beautiful Emma. She has severe autism and an intellectual disability. She’s also prone to wandering off and has been in quite some danger at times – something we witnessed even on the camp. I’m a volunteer guide with DWA and we support people like Emma to go to the snow. To help her, Emma is getting an assistance dog. This will help with panic attacks and also help to find her if she does get lost. Seeing someone with autism have a panic attack is heartbreaking and traumatic. It was hard to see her in such pain during these panic attacks. It’s also difficult to know how to manage it, but we did. The week taught me so much and gave me such a different view of what the world is like for others. The assistance dog will be a great support to Emma in her everyday life. But they are expensive. So Emma’s family is fundraising to help with the cost of the dog and the extensive training it will need. I’m sharing her fundraising page here and would be so grateful if you can share her story and/ or donate. Anywho, this post is about an incredible comedy event on TONIGHT (sorry for the late notice) in Sydney. Here’s the details and I hope you can get along and learn more about how we can do more for others. Sydney Comedy Gala Screening: Australia, Who the Bloody Hell Are We? A variety show and film screening of the Campaign for Australian Aid’s Australia, Who the Bloody Hell Are We? Comedy Gala, will take place at Giant Dwarf Theatre this Thursday 13 Oc- tober. The live show will feature renowned comedians Osamah Sami, Josh Hawkins, Emma Malik, Na- tional slam poet champion Philip Wilcox and and Triple J Unearthed artist Julie Kerr. It will be hosted by actress/model Imogen Bailey. The screening will showcase highlights from the Australia, Who the Bloody Hell Are We? Com- edy Gala that was held in Melbourne last week. The Melbourne Gala was hosted by the award- winning Tom Ballard who was joined by 11 of Australia’s most talented acts including Tripod, Nelly Thomas and Shiralee Hood. The event encourages people to place our national identity, values and global citizenship under the microscope. “Comedy is a great way to analyse Australia’s place in the world, while focusing on what unites us rather than what divides us. Comedy is a great way to look at Australia’s performance as a global citizen, while also examining a number of pressing challenges such as inequality and cli- mate change,” said Ricky Keung, Sydney’s State Organiser for the Campaign for Australian Aid. The Campaign for Australian Aid is a movement of people, organisations, communities and businesses who believe that our country can and should do more to help build a better, fairer future for all. It represents over 65 aid and development organisations, church, business and community groups. I’ve discovered Toms shoes and I can’t ever go back! I’d heard about Toms shoes for a long time but had never got myself around to buying these shoes and now I have I’m so happy. They are comfy and good looking shoes, but also give me the chance to give back. Of course rainbows were the only choice for me. 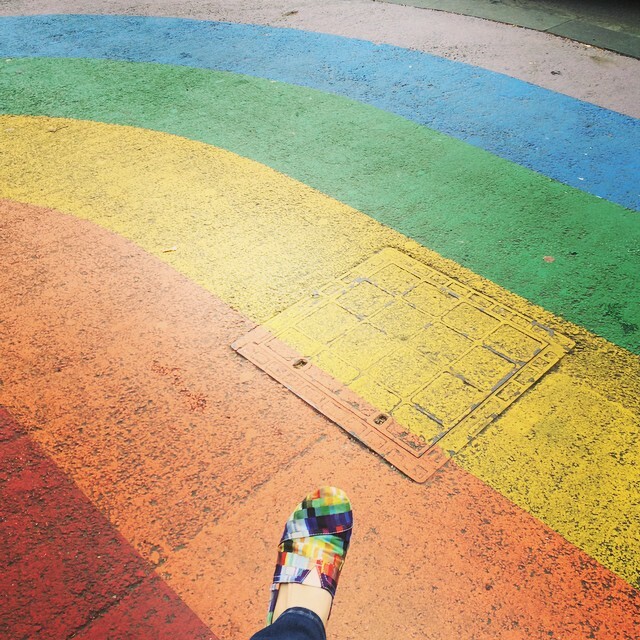 I love rainbows and I see them everywhere. To see them in the Toms range, it was the easiest choice. They were a little tight at first but as the helpful sales assistant told me, they will stretch a little and now they fit like a glove. I wear them 3-4 days a week. Now the important part! 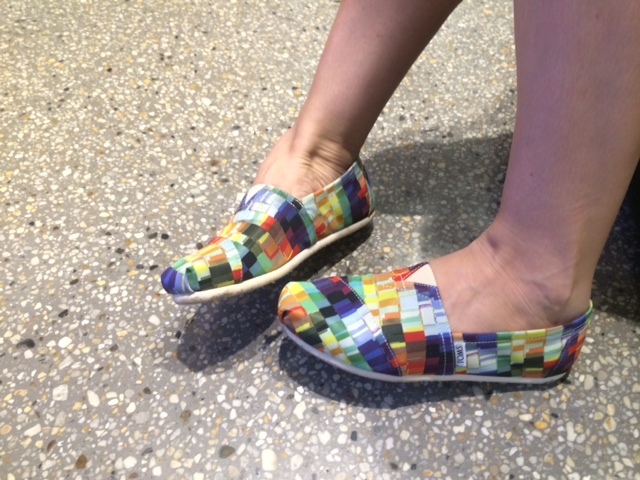 Toms is ethical fashion! Something that is becoming increasingly essential for me when looking at what I purchase. 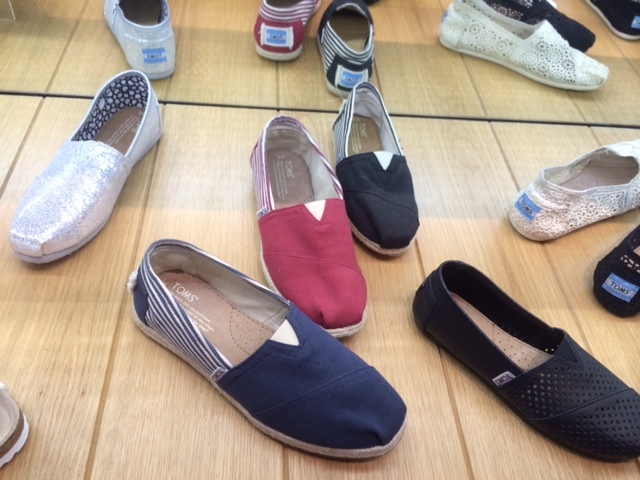 Toms make it easy. 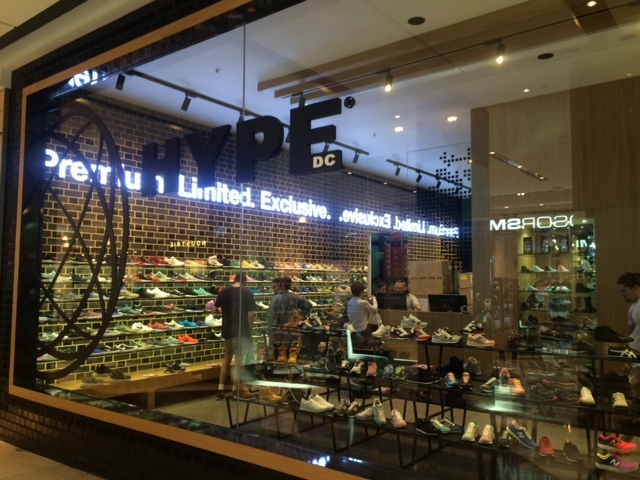 They are upfront about what they are doing with their shoes and how they are giving back around the world. In 2013, TOMS committed to producing one third of our Giving Shoes in the regions where we give them. Local production helps to build industry and create jobs and sustainable futures. 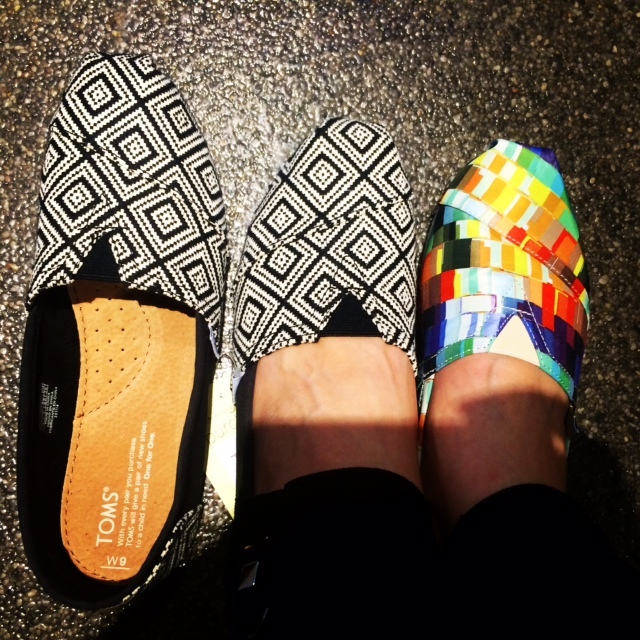 So happy to be supporting TOMS and look forward to more purchases in the future. Sharni is doing it in a dress! My incredible friend Sharni Kelly is taking on the “Do it in a dress” challenge to raise funds for girls in Africa to attend school. 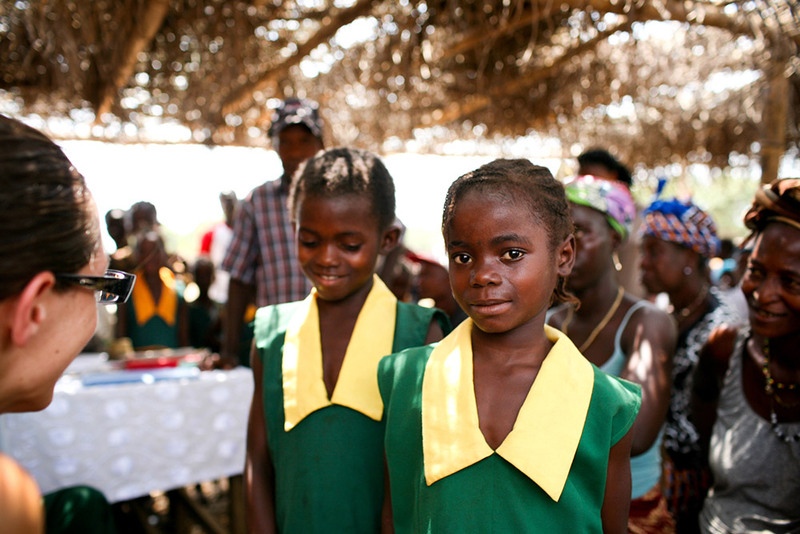 “A girl born in Sierra Leone is more likely to be sexually assaulted than she is to attend high school. I want to change this. I am taking on the Do It In A Dress Challenge for One Girl, as every girl has the right to feel safe, in control of her body and to receive an education. At the completion of my fundraising in October, I am pledging to complete my very first Sky Dive – in a dress. It only takes $300 to send a girl to school and I’ve set a personal goal of $3000 – that’s *10* girls who will be given the opportunity to shine. I’m lucky to be surrounded by the most wonderful, giving people, and I know that together we can do this. Stay tuned for a raffle coming up soon!! Details will be share here! 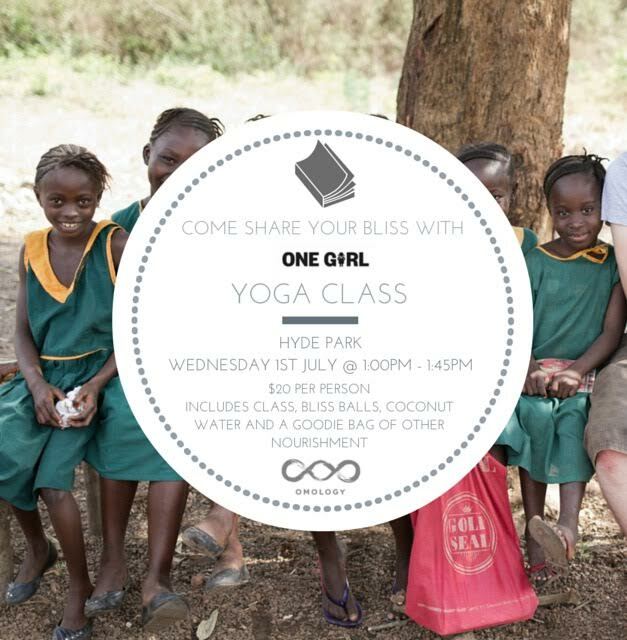 You can also help by attending the Yoga event soon in #Sydney hosted by Omology Yoga.